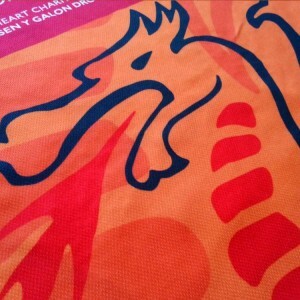 Introducing the new North Wales Dragons goalkeeper shirt. 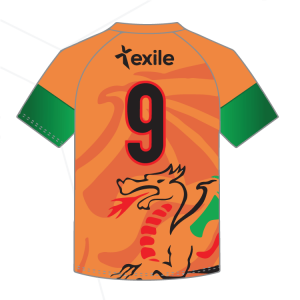 The two tone orange and green kit is teamed with our very own Dragon wrapped around the waist along with the ghost image of the dragon which has to be seen. 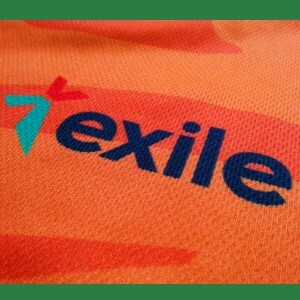 This high quality shirt is made by Exile Sportswear a company with over 25 years experience in the trade. 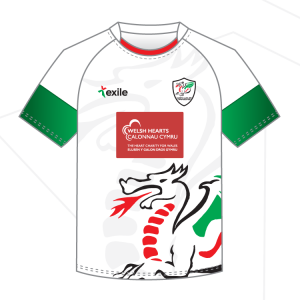 Based in North Wales, Exile Sportswear manufactures all playing kit in the UK to the highest standard. Whatever the sport – rugby, football, netball, and the list is endless. With unique designs, a super-fast turnaround, and unparalleled account management. 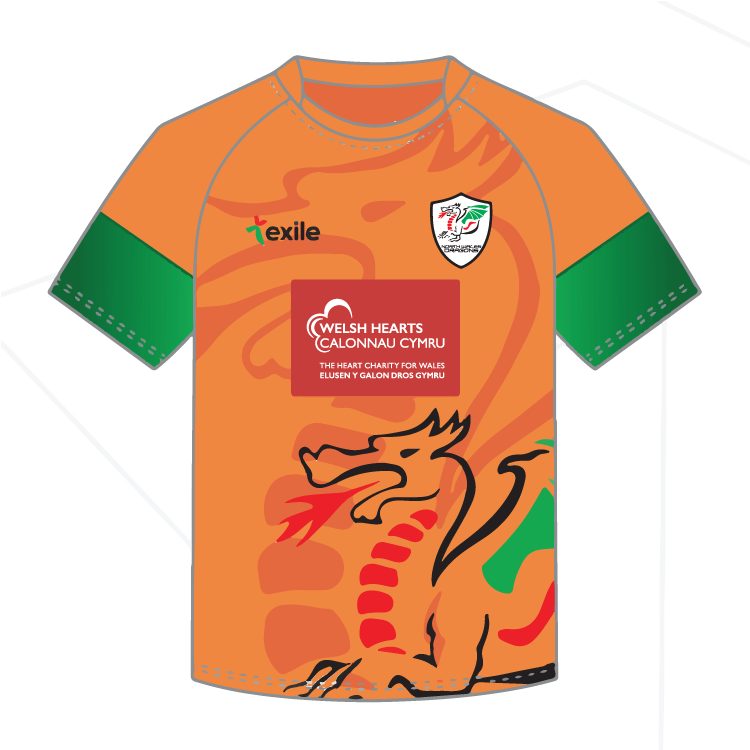 The kit has our great new sponsor Welsh Hearts/Calonnau Cymru – The Heart Charity for Wales, across the chest. Welsh Hearts are the leading heart charity in Wales for placing defibrillators in communities and delivering CPR and defibrillator training in Wales. 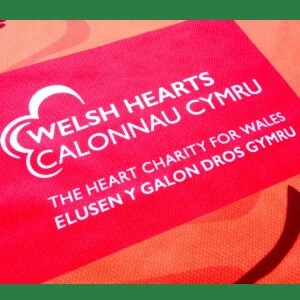 They are regarded as the heart charity at the centre of saving lives in Wales. Cardiovascular disease accounts for a third of all deaths in Wales, where the death rate is higher than in the majority of countries in Western Europe. £5.00 from each sale of the Dragons shirt will go to the Welsh Hearts charity. Want to feel even more part of the team? Why not get your own name and number on the back for no extra cost! 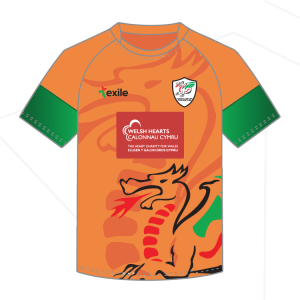 You can now purchase our shirts online using paypal, if you do not want to use that service, get in touch here, and we will send you details on how you can pay by cheque or via a bank to bank transfer.